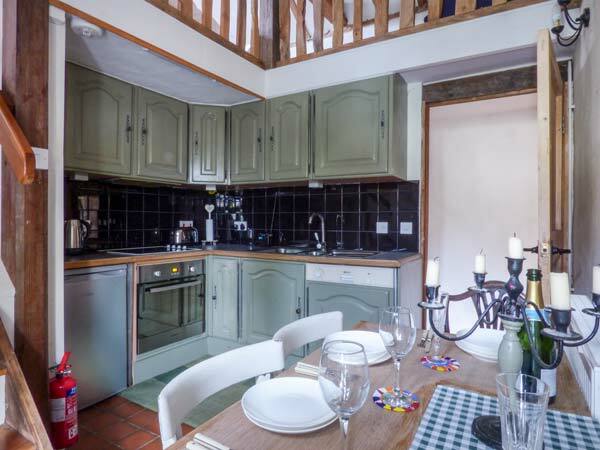 Badger Cottage in SWEFFLING - This charming character cottage is in the village of Sweffling near to Saxmundham in East Anglia and can sleep four people in two bedrooms. Two galleried bedrooms: 1 x double, 1 x twin. 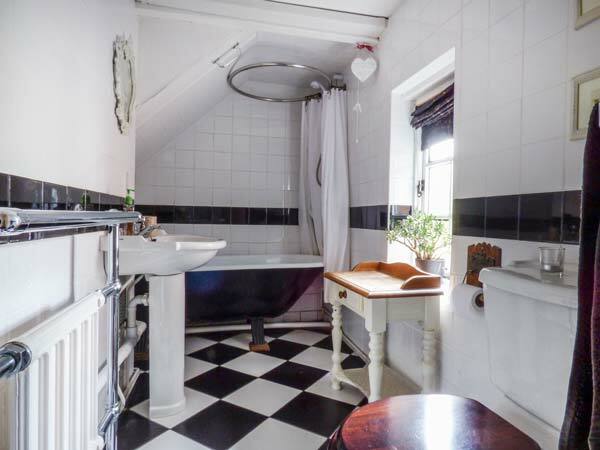 Ground floor bathroom with roll-top bath, shower over, basin and WC. Kitchen with dining area. Sitting room with woodburning stove. 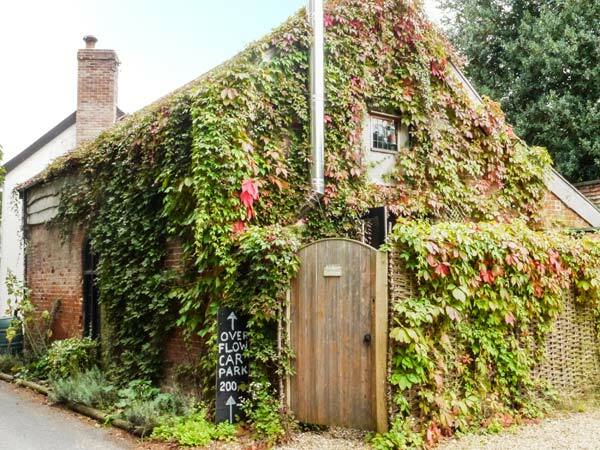 This charming character cottage is in the village of Sweffling near to Saxmundham in East Anglia and can sleep four people in two bedrooms. 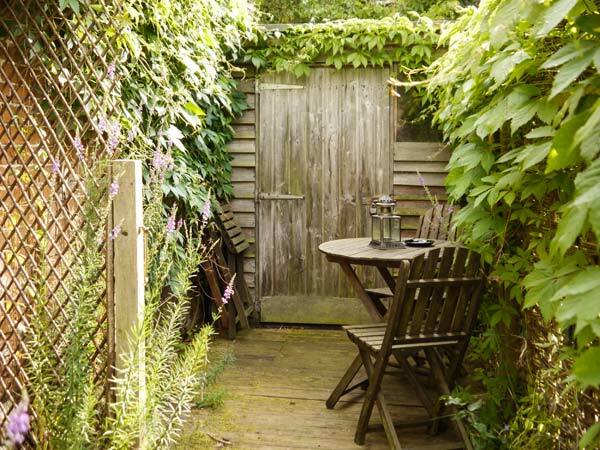 Badger Cottage is a charming character property located in the village of Sweffling near to Saxmundham in East Anglia. 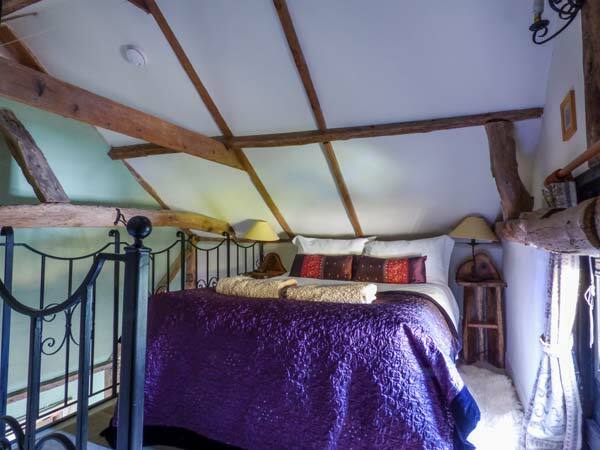 The cottage can sleep four people in two bedrooms comprising a double and a twin as well as a ground floor bathroom. 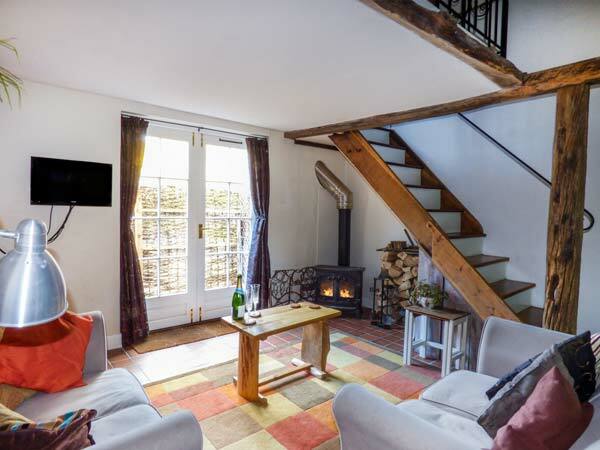 The cottage also contains a kitchen with dining area and a sitting room with a woodburning stove.To the outside of the cottage is off road parking for one car and an enclosed front garden with decking and furniture. 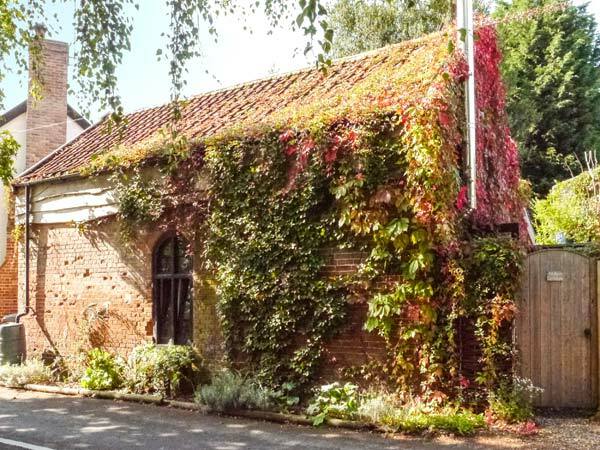 Badger Cottage is situated in a lovely area to explore the popular areas of Suffolk, making it suitable for a great holiday any time of the year. 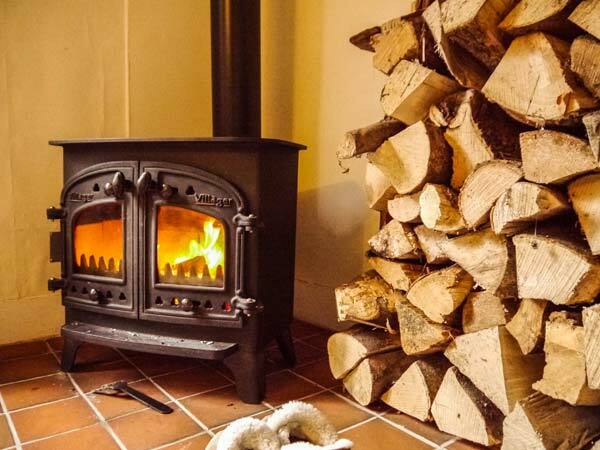 Wood-fired central heating with woodburning stove. Electric oven and hob, microwave, fridge/freezer, dishwasher, TV with Freeview, DVD, WiFi, selection of books, games and DVDs. Fuel, power and fuel for stove inc. in rent. Bed linen and towels inc. in rent. Cot and highchair on request. Off road parking for 1 car. Enclosed front courtyard with decking and furniture. Access to the campsite garden 'Alde Garden' available throughout May- September. Sorry, no smoking. 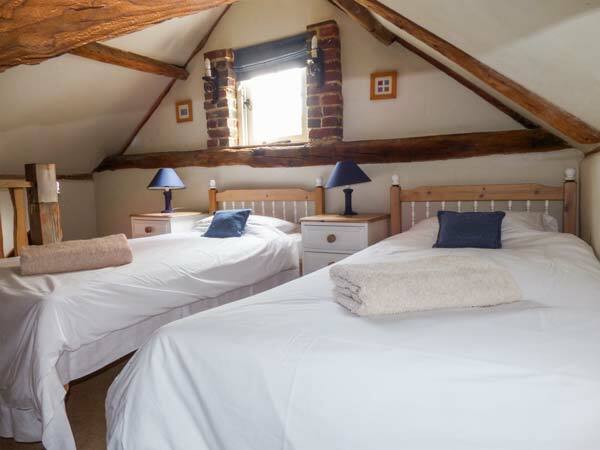 Shop 8 mins walk, award-winning pub 'the Sweffling White Horse' just next door. 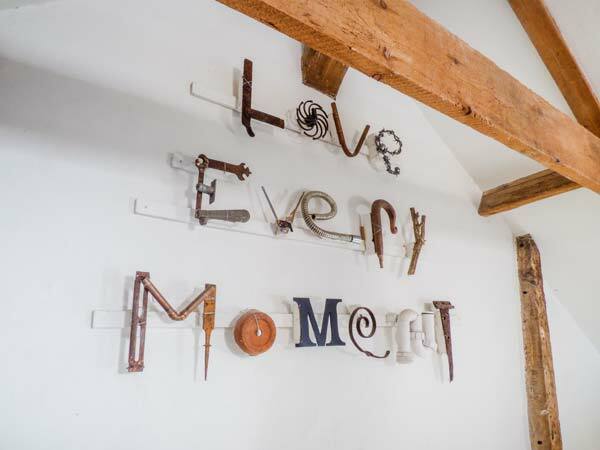 Note: There is limited storage in the bedrooms. Note: Stairs lead directly into the bedrooms. Note: Check-in time 4pm, check-out time 11am.